Tacos are an all-time favorite for many families! Seriously, what’s not to love about them?! Tacos are very versatile in that they can be made with many different meats, toppings, or even vegetarian! The best part of all is how quick and easy they are to make. 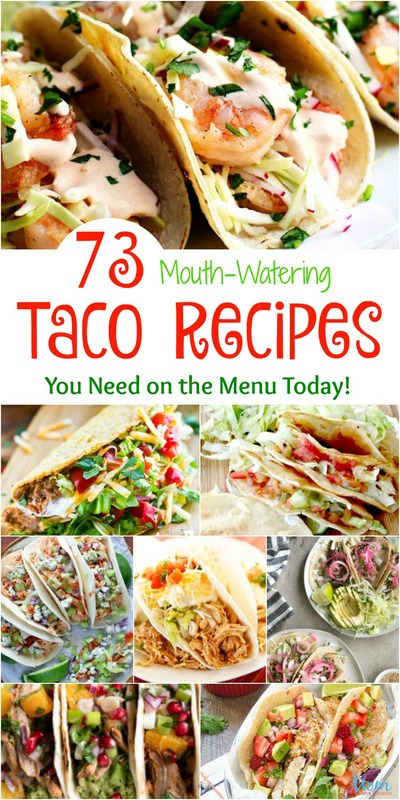 Take a look at these Mouth-Watering Taco Recipes! You will certainly want to add them to your menu lineup! 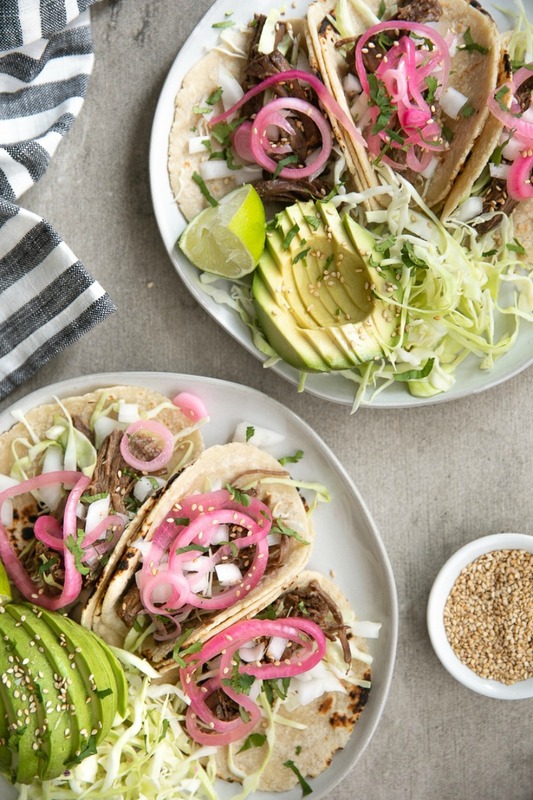 From regular ground beef to chicken, shrimp, fish, and more there are so many ways to serve tacos! And, if you want to try a fun spin on tacos, check out these Keto Taco Bowls with Avocado Salsa! YUM! 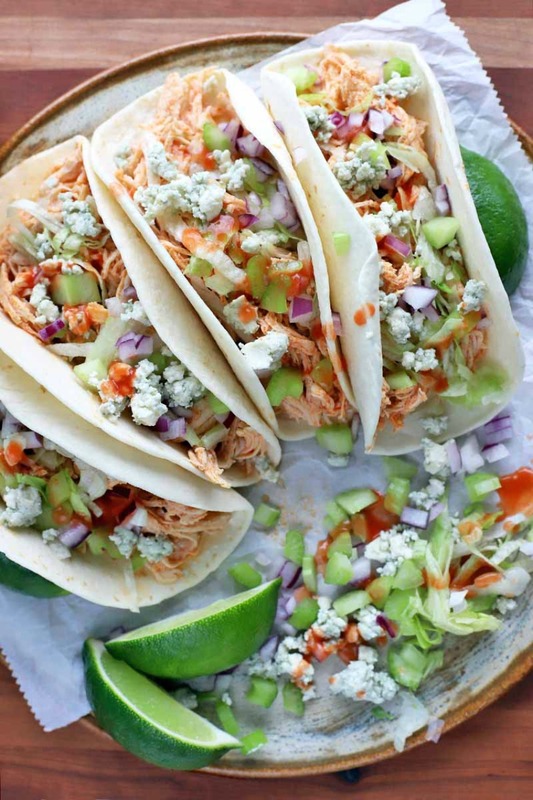 For Buffalo Chicken lovers, you will love these Slow Cooker Buffalo Chicken Tacos from Foodal! The key is in the flavorful base filling of chicken infused with delicious flavors and heat. It is tender and juicy with a spicy kick. Top with blue cheese, red onion, and celery. It’s a familiar taste sensation that you are sure to love. Shrimp tacos are a favorite for many but these Shrimp Tacos from Pinch and Swirl are not your average Shrimp Tacos. These tasty tacos feature lightly charred corn tortillas cradling tender shrimp with a crisp salt and pepper crust. 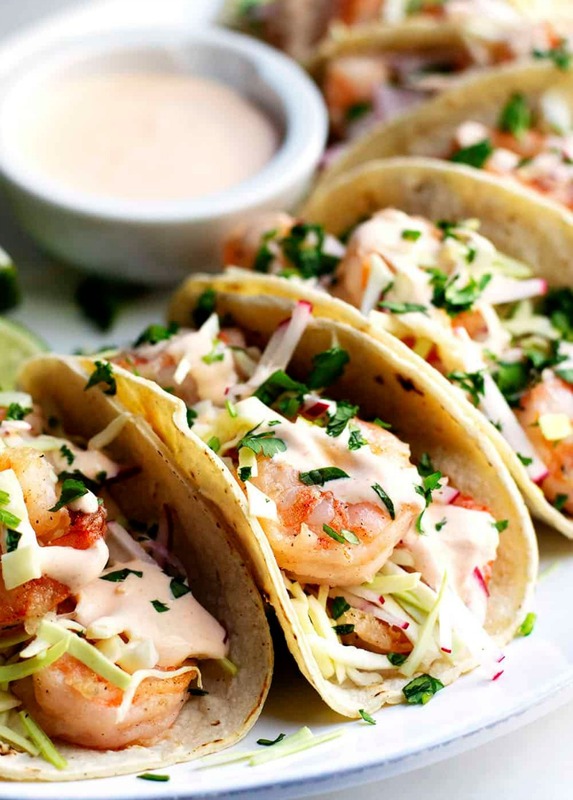 They are then topped with crunchy cabbage and radish slaw then finished with creamy spicy shrimp taco sauce and a scattering of fresh cilantro. They are super easy to make and only 30 minutes start to finish. These Lime Teriyaki Shredded Beef Tacos from The Forked Spoon will quickly become a family favorite! They are made with slow cooker shredded beef that is moist, juicy, and flavorful. Then, piled high in a tortilla and topped with crunchy cabbage, white onion, and pickled red onions. Now that is what flavor is all about! If you are looking to cut back on meat, you don’t have to give up the deliciousness of tacos! These gluten-free Vegetarian Lentil Tacos from Peas and Crayons are perfect for vegans, vegetarians, or anyone looking to cut back on meat. It is also the perfect meal for Meatless Monday and Taco Tuesday! 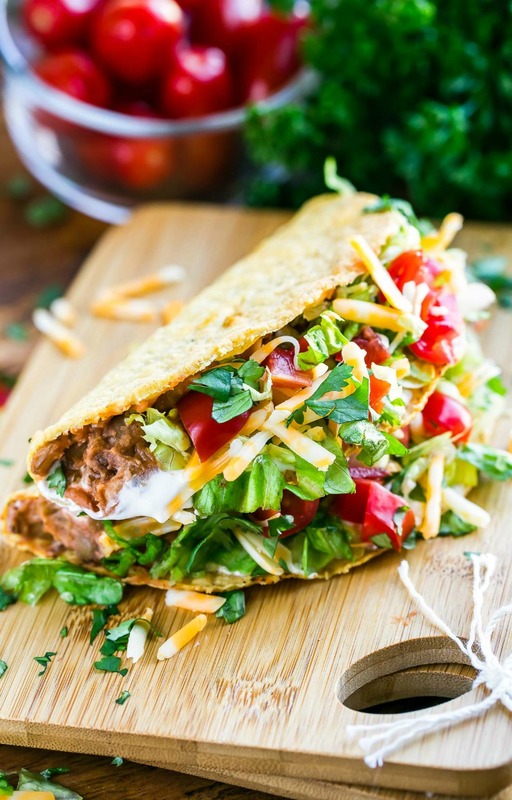 Your Family will Love these Mouth-Watering Taco Recipes!